Two cops and a female Assistant D.A. go undercover to find a mafia witness on the run. 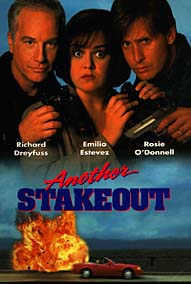 Director John Badham's "Another Stakeout" is a fun, clever, top notch followup to "Stakeout."